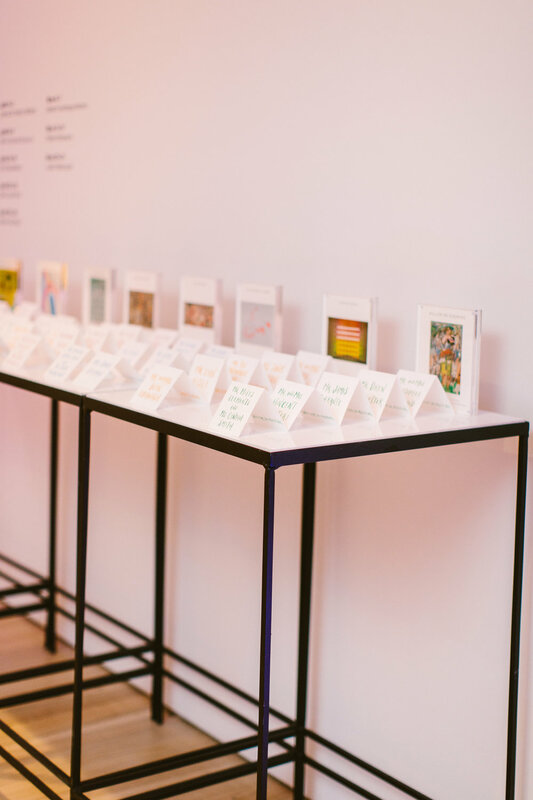 We love a curated wedding weekend, from start to finish. 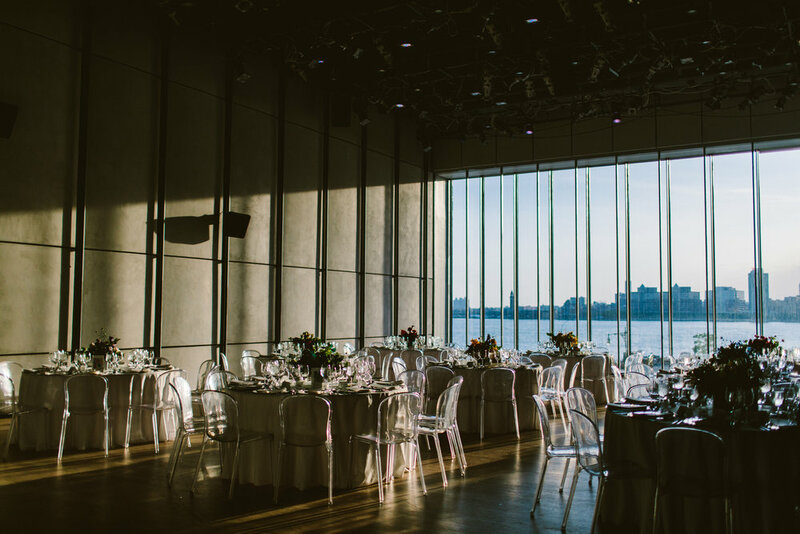 That’s why we are so eager to share this gorgeous welcome dinner at the Whitney Museum. 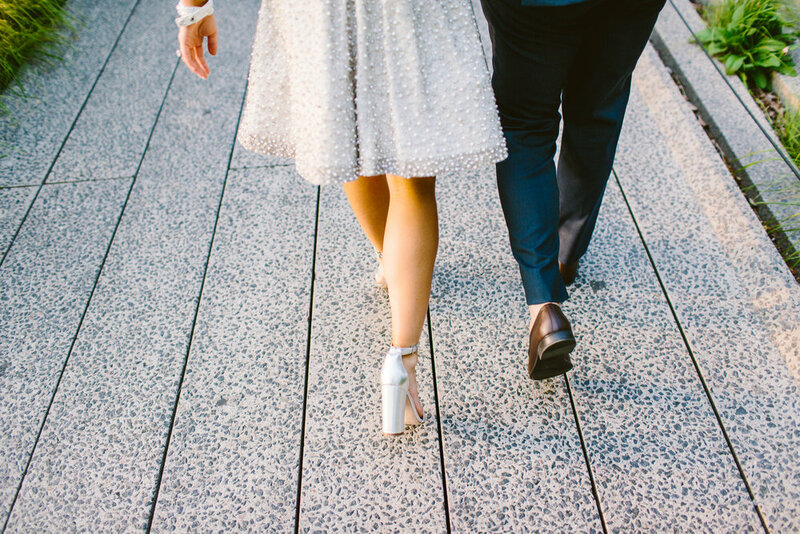 It was the perfect and most creative way to kickstart T+S’ romantic wedding weekend. Redfield Photography joined us for the day in order to capture each artistic and loving moment. Floor to ceiling windows in the space offered sweeping views of the city and let in the most magical light. 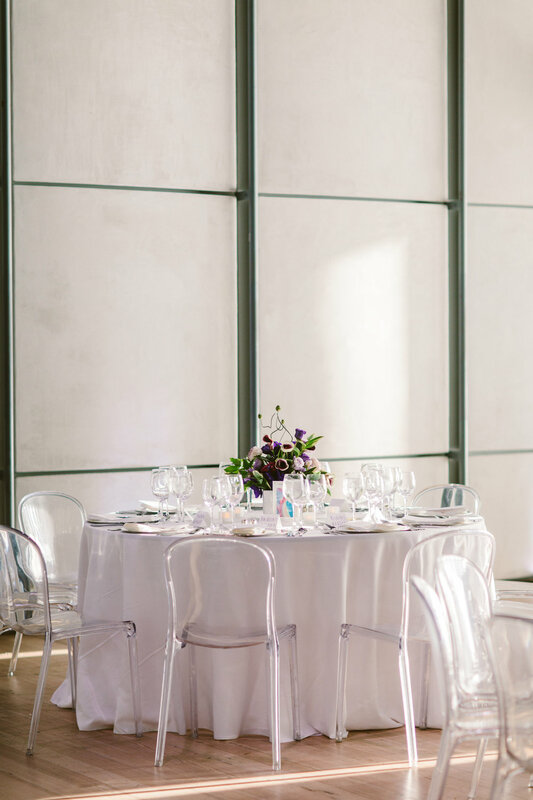 White tables and clear chairs provided a neutral palette for the artwork and florals to shine. 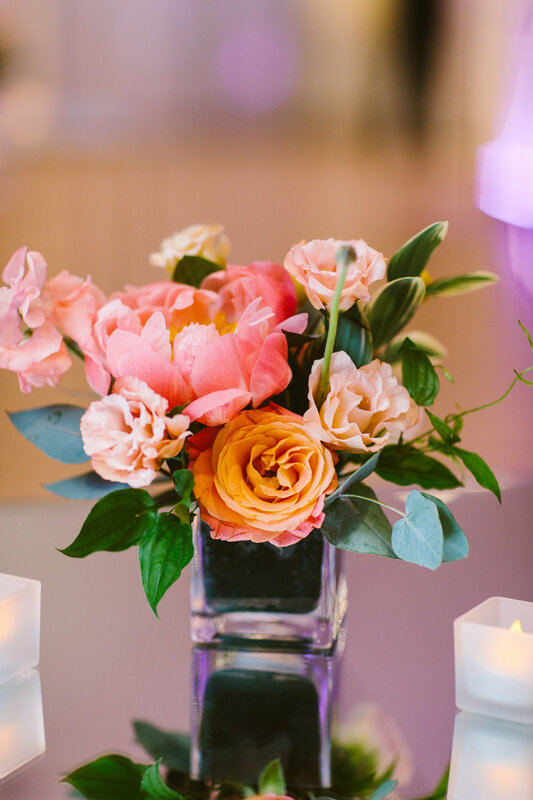 Each table was named for a famous artist with floral arrangements to complement their work. Designs by Ahn took it to the next level with the rich textures and fun color blocking. Such a creative way to reflect the contemporary and artistic space. 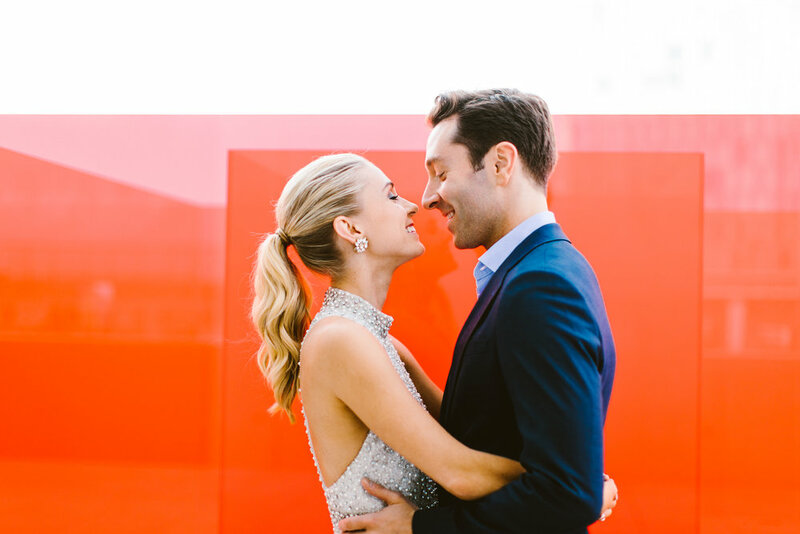 This gorgeous dinner illustrated the couple’s love and started the weekend off right.